Mother Nature's fury has been devastating—and deadly—over the past few weeks, with Hurricanes Harvey, Irma, and, now, Maria, as well as two powerful earthquakes in Mexico. And that's just in North America. But despite the threats that natural disasters pose, U.S. property values in the areas most prone to them rose more than twice as quickly than in safer parts of the country over the past decade, according to a recent report from real estate data company ATTOM Data Solutions. 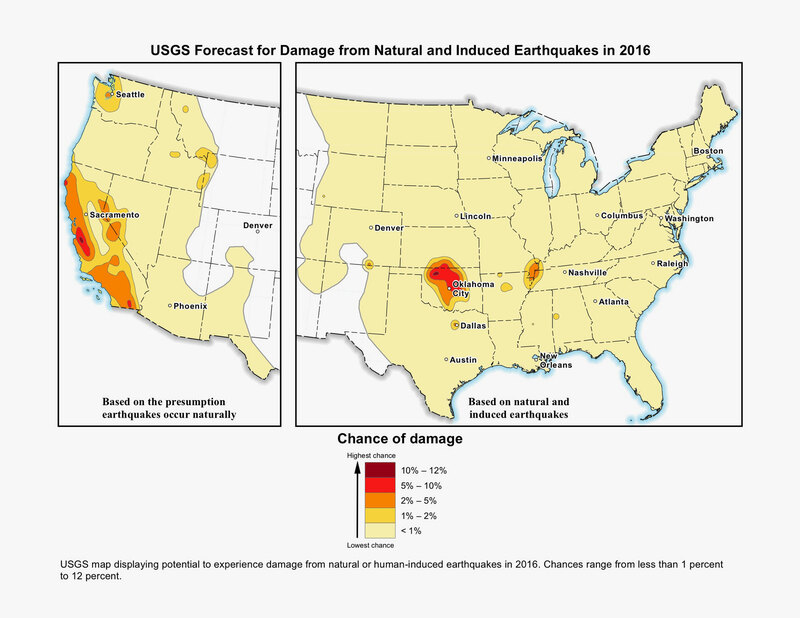 Oklahoma City was rated the riskiest city in the country for natural disasters because of its tornadoes and a recent spate of earthquakes that scientists have linked to the local oil industry. Next on the danger list was a shocker: Silicon Valley's San Jose, perennially one of the nation's hottest and priciest real estate markets. Rounding out the top five were Los Angeles and Bakersfield, in California, and then Seattle. These were rated the most dangerous cities from the 50 with populations of at least 500,000. The riskiest counties were Oklahoma County, OK; Wakulla County, FL, home to Tallahassee; and Monroe County, FL, home to Key West. To get the full picture of disaster risk across the country, ATTOM analyzed earthquake, flood, hail, hurricane storm surge, tornado, and wildfire threats in more than 3,000 counties and over 22,000 cities. "Despite all the news that people hear about the devastation natural disasters can cause on housing ... people are still buying homes in places that are at high risk for natural disasters," says ATTOM Senior Vice President Daren Blomquist. "Those places, for whatever reason, tend to have the jobs." Median home prices in the riskiest 20% of cities appreciated about 65% over five years. But the cities with the lowest risks appreciated only 32% over the past five years. "They have a lot of natural beauty that buyers are attracted to," Blomquist says of the more disaster-prone cities, many of which are in California and the southeast coast of the United States. "People want to be close to the water, but the water comes with risks. People want to be close to the mountains, but the mountains come with risks, too." Do you live in one of the safest cities from natural disasters? Not every city is a catastrophe waiting to happen. Midwestern counties topped the list of the safest places to live, with Milwaukee County, WI, leading the pack. Cuyahoga County, OH, home to Cleveland, and Muskegon County, MI, rounded out the top three. The safest cities were Philadelphia; Phoenix; Buffalo, NY; Orlando, FL; and—wait for it—Brooklyn, NY. (Although it is in fact a borough of New York City, Brooklyn was counted as a city in this analysis.) The Midwest didn't make this list because the analysis looked at only 50 big cities with at least a half-million residents. Although people are still drawn to more dangerous parts of the country, there are signs that they're beginning to draw back from the risks. Home prices have begun to decline in areas prone to flooding and hurricanes. Over the past decade, median home prices in risky flood areas dropped 3% at the same time that national prices went up about 8%. Areas with high hurricane threats saw median prices fall about 7% over the same period. However, even spots that are deemed safer, like Brooklyn, can suffer in storms. The southern coast of the borough was damaged by Superstorm Sandy in 2012. "You can’t go anywhere where you’re going to be completely protected from natural disasters," Blomquist says. Clare Trapasso is the senior news editor of realtor.com and an adjunct journalism professor. She previously wrote for a Financial Times publication and the New York Daily News.